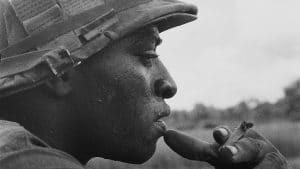 The Vietnam War, an epic documentary film series directed by Ken Burns and Lynn Novick, premiered on CPTV in September 2017. 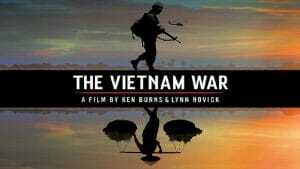 Ten years in the making, The Vietnam War tells the epic story of the Vietnam War as it has never before been told on film. 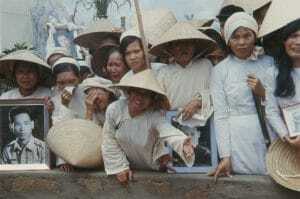 The film features testimony from nearly 100 witnesses, including many Americans who fought in the war and others who opposed it, as well as Vietnamese combatants and civilians from both the winning and losing sides. Now, for those who missed the acclaimed series or would like to revisit it, all 10 episodes will encore Tuesday nights on CPTV. Tuesday, October 3 at 9 p.m. and 10:30 p.m.
Tuesday, October 10 at 9 p.m.
Tuesday, October 17 at 9 p.m.
Tuesday, October 24 at 9 p.m.
Tuesday, October 31 at 9 p.m.
Tuesday, November 7 at 9 p.m.
Tuesday, November 14 at 9 p.m.
Tuesday, November 21 at 9 p.m.
Tuesday, November 28 at 9 p.m. Currently all 10 episodes are also available to stream on The Vietnam War Show Page until October 15, 2017 at 11:59 p.m. (EST). The series is also available via VOD on Comcast, Verizon, and Charter systems through October 15.